This image composite highlights the Mars Exploration Rover Opportunity's "sweep" magnet, which scientists use to study the origins of dust in the atmosphere. 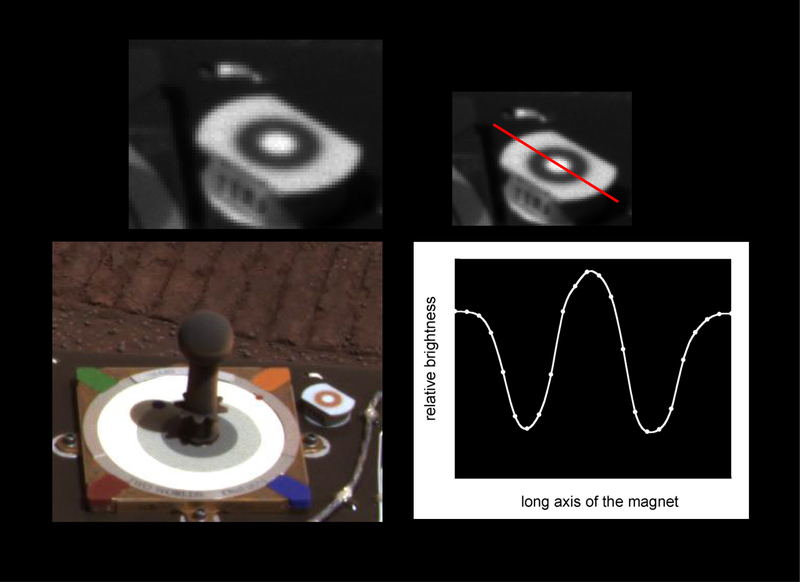 The panoramic image below indicates the location of the magnet on the side of the rover's calibration target, or "martian sundial." 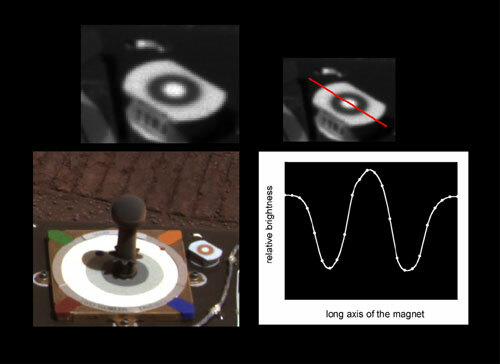 The images above, also taken by the panoramic camera, show a close-up of the magnet and the dark ring that collects magnetic airborne particles. The bright hole in the center of the magnet repels magnetic particles, forcing them to land only on the outer ring. Non-magnetic particles are expected to settle on all parts of the magnet, including the center. Because this center hole remains clean, scientists have concluded that nearly all of the dust particles in Mars' atmosphere are magnetic.